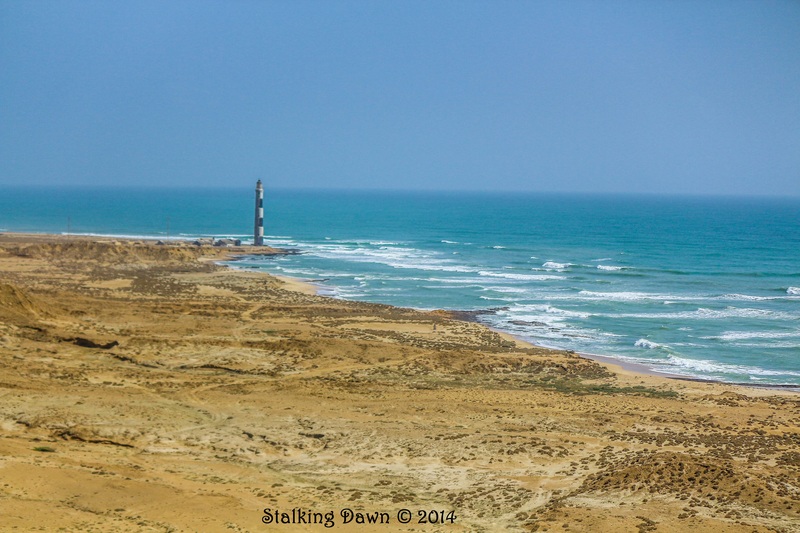 Ras Muari Lighthouse as seen from the top of Cape Mount; one of the southern-most tips of Pakistani mainland, near Mubarak Village. The beach visible in this photo is called Cape Mount Beach; known for it’s scenic sandy beauty. To capture the photograph, I trekked from Mubarak Village to the top of Cape Mount. (Copyrights for this photo are reserved). by Syed Umr Iftikhar Ahmed. I’d gone to Mubarak Village on a welfare work oriented visit with a team. We found the populace in extremely poor conditions; majority of whom were Baloch fisher-folk. We got an update on welfare activities being carried out; it did give me some hope and we are looking forward to contributing towards development as best as we can as well. This poem came as a result of that optimism which took over me after trekking for an hour to behold this beautiful view…..